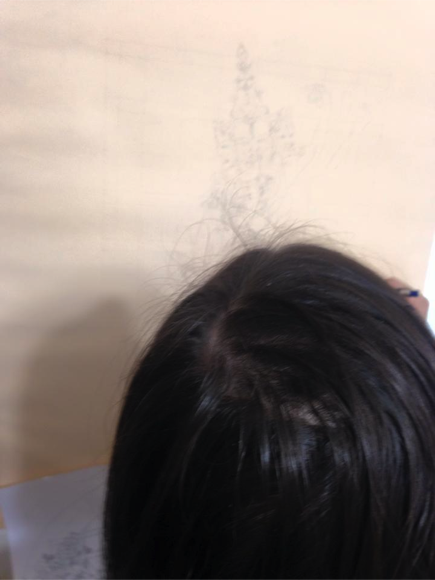 You are currently browsing the category archive for the ‘Elim Mak’ category. 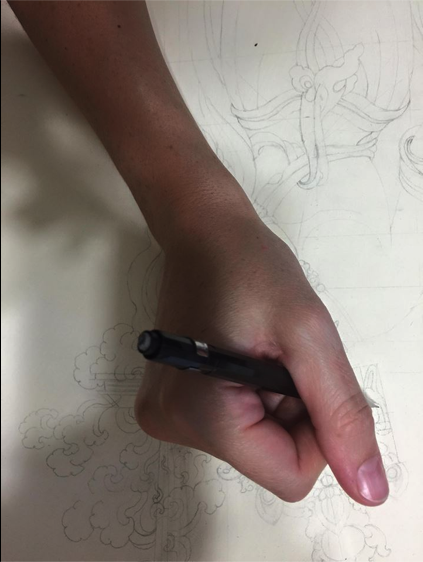 Elim Mak’s free hand drawing. 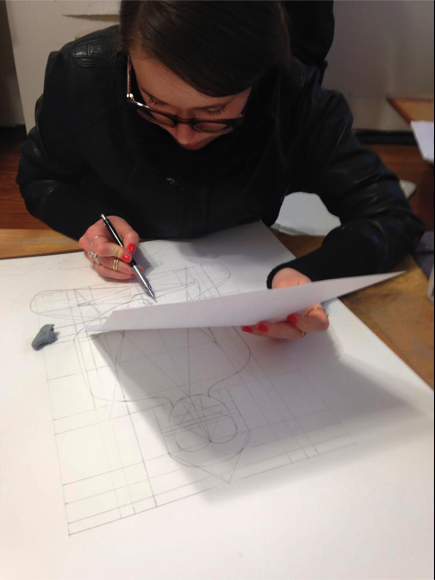 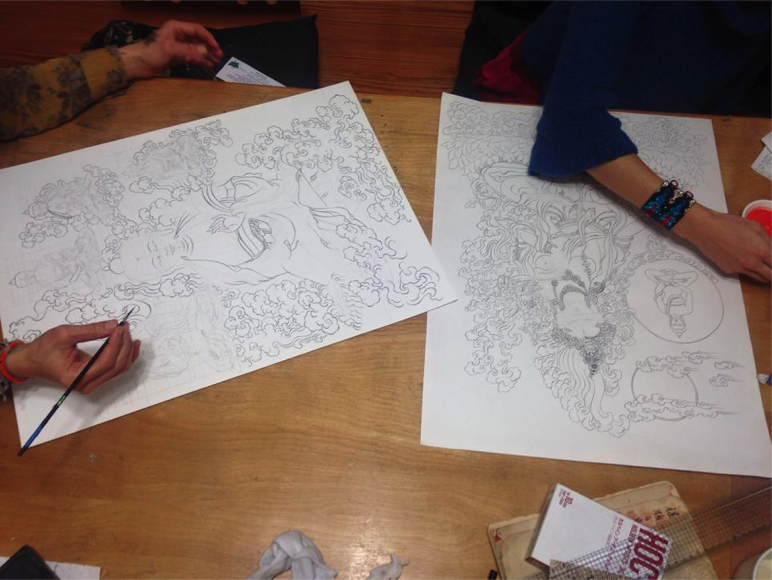 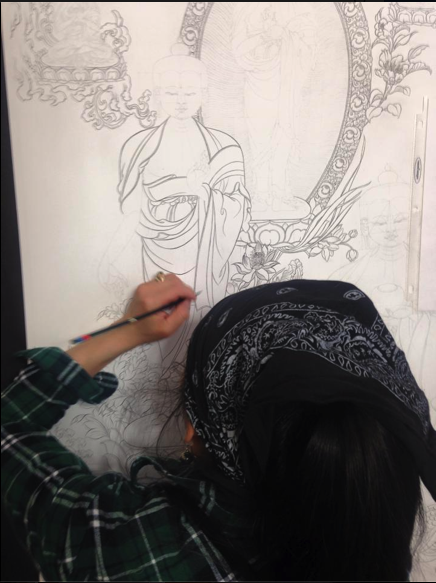 Elim Mak’s free hand drawing,composition and perspective after 5 years at NYTAS. 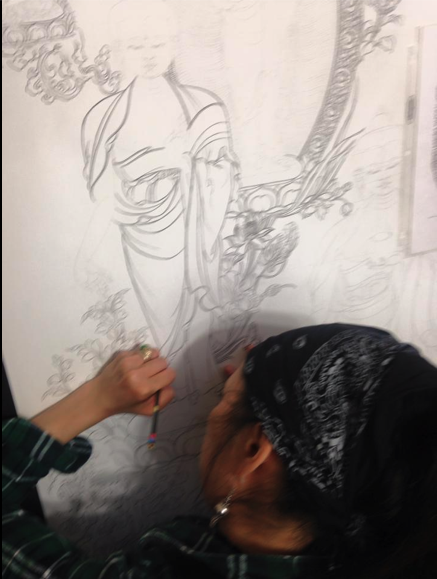 She received her Master’s degree at Pratt Institute and graduated with distinction . 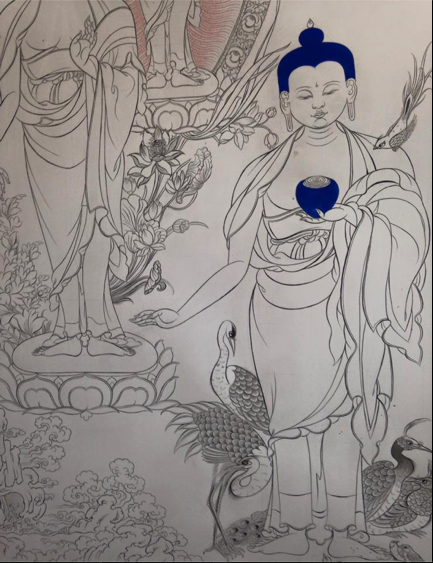 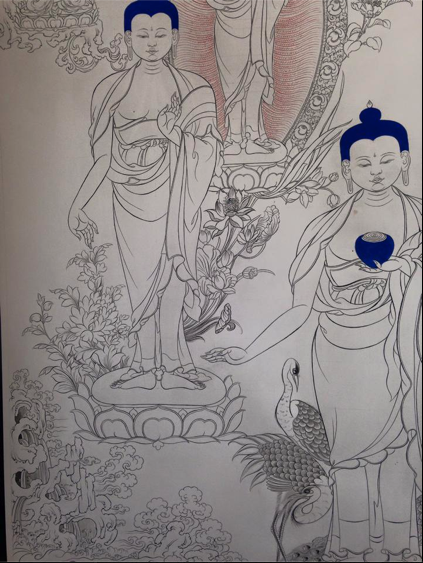 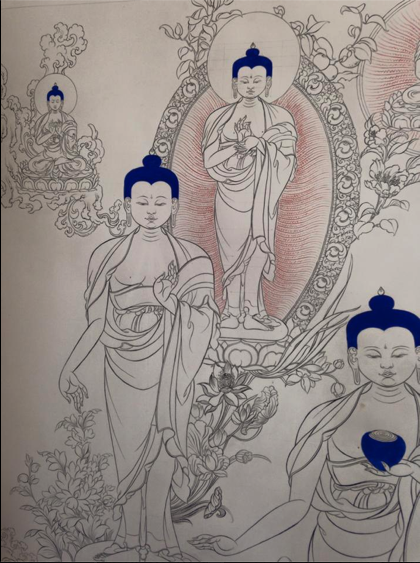 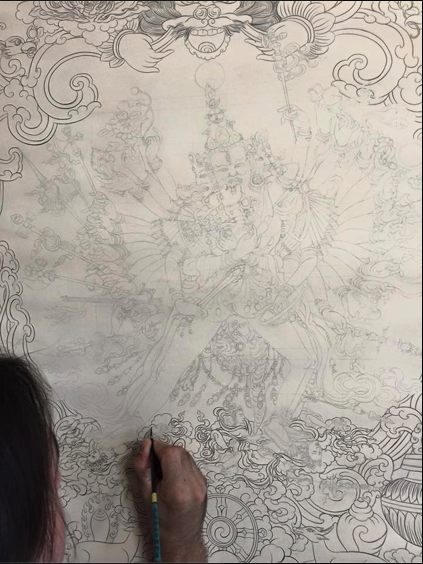 Photo Courtesy of Pema Rinzin​, Tibetan Contemporary Artist, Founder, Creator, Critic and Teacher at New York Tibetan Art Studio​, School. 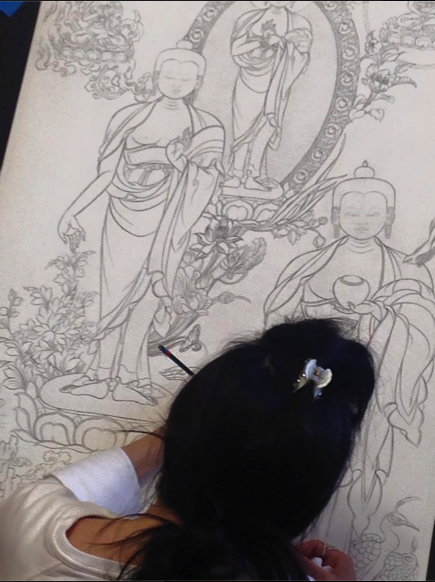 Congratulations Elim Mak for successfully finishing the last artwork from the first course taught here at New York Tibetan Art StudioStudio.Elim has been studying with NYTAS for the past 5 years.She is an art therapist and received her Master,s degree with distinction at Pratt Institute in Brooklyn ,NY and her Bachelor’s degree in Fine Art at Concordia University in Montreal,Quebec. 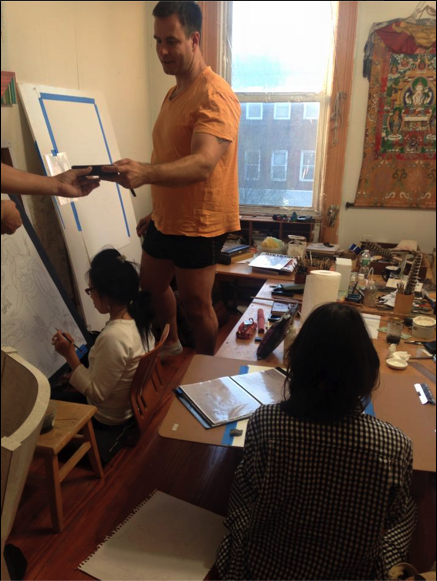 Contemporary Tibetan Artist ,Founder,Critic and Teacher at New York Tibetan Art Studio. 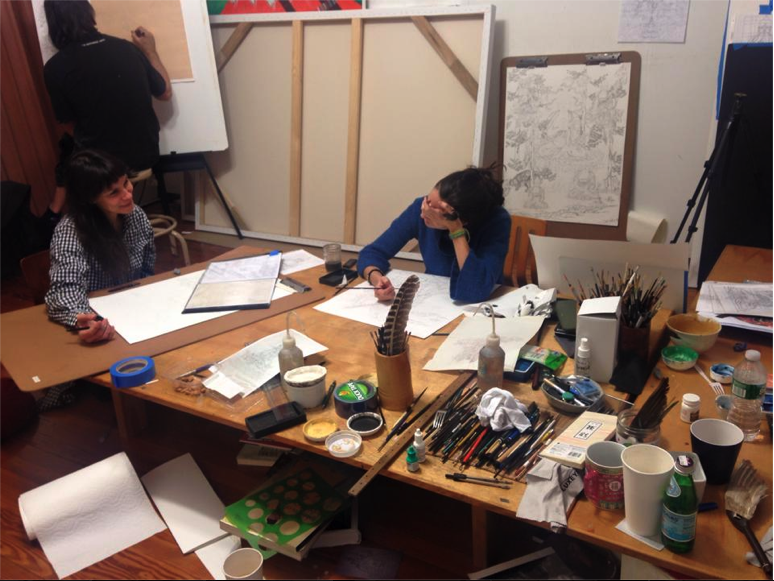 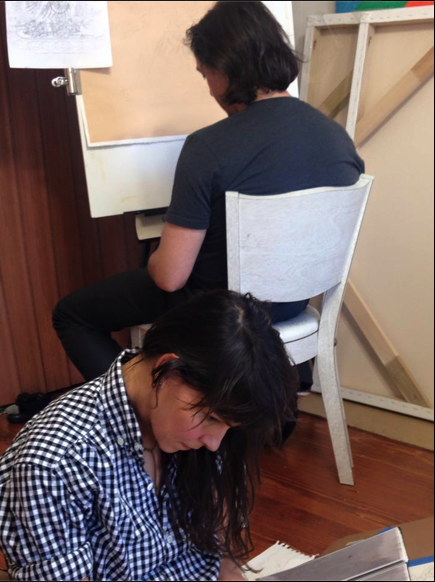 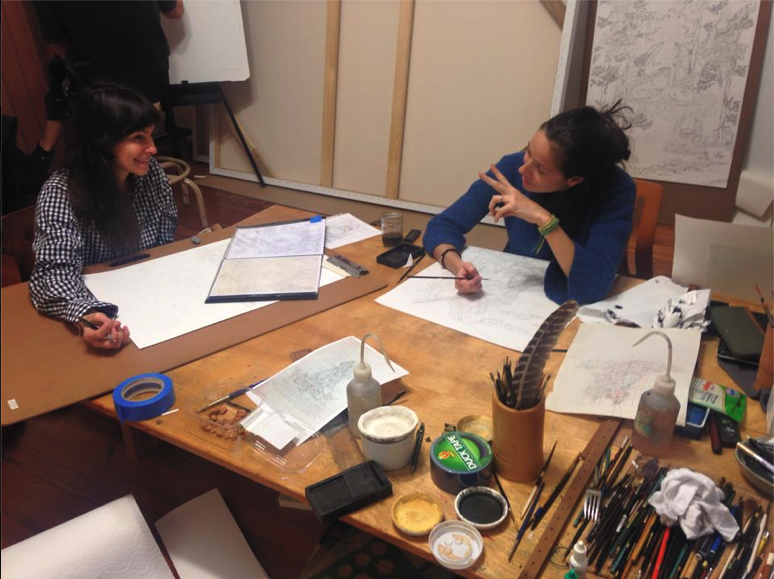 Private discussion between Ana Velasco Lacayo & Pia Leighton about TAS in South America. 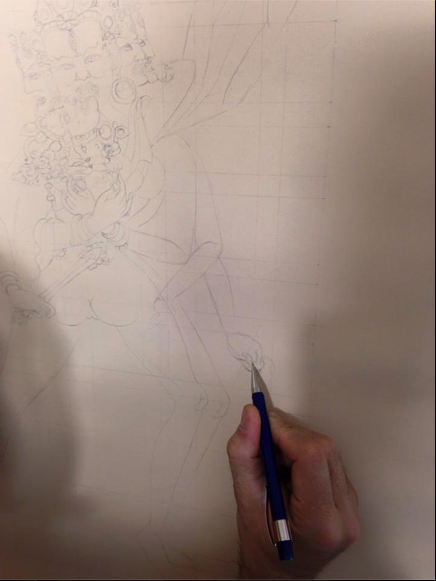 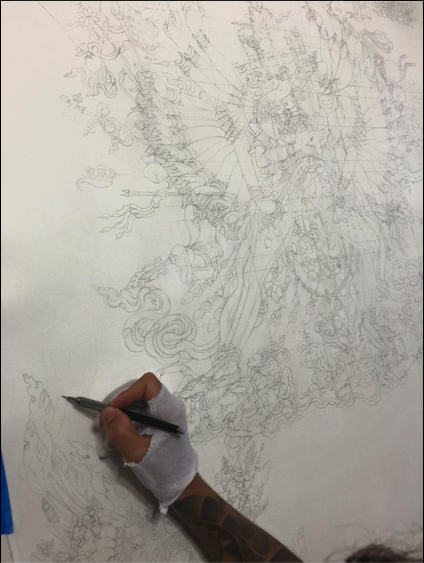 Elim Mak’s artwork in progress. 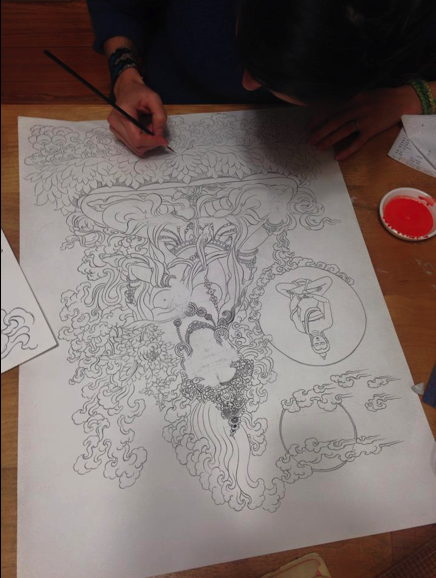 This is her last artwork from the first course. 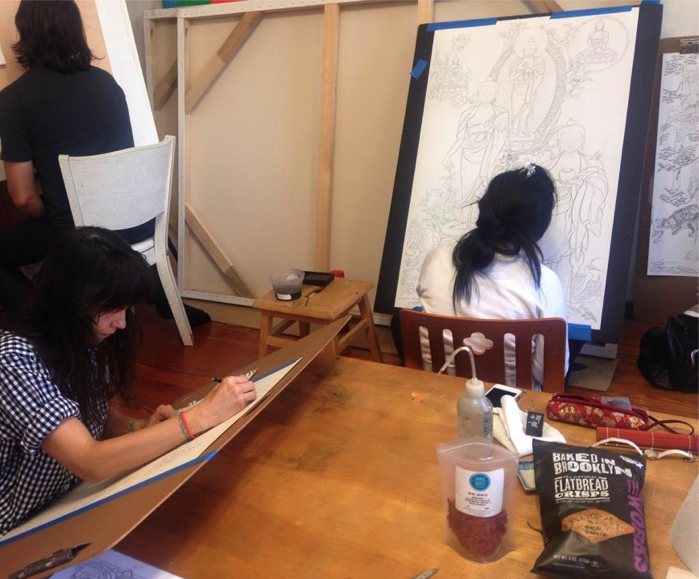 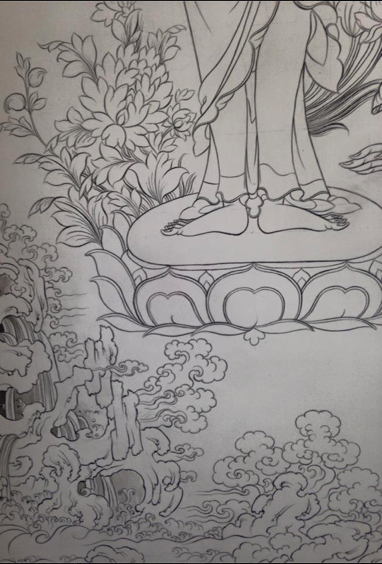 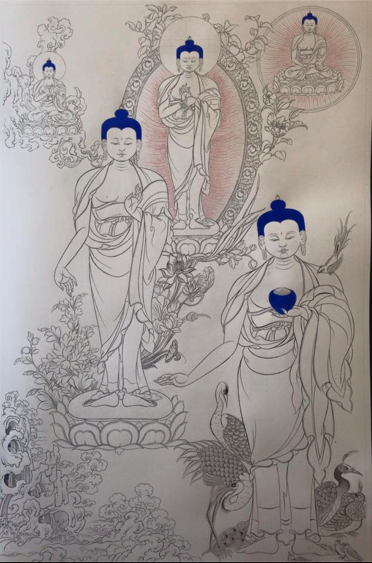 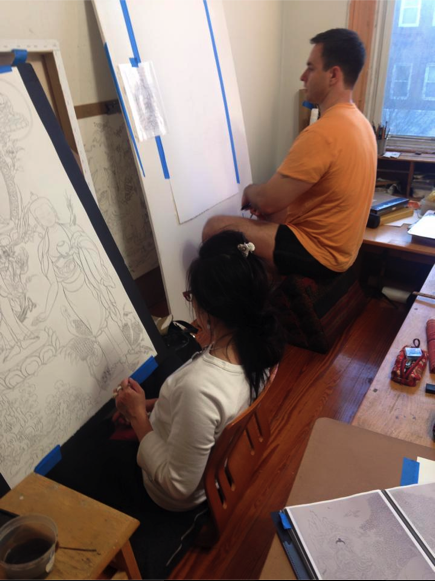 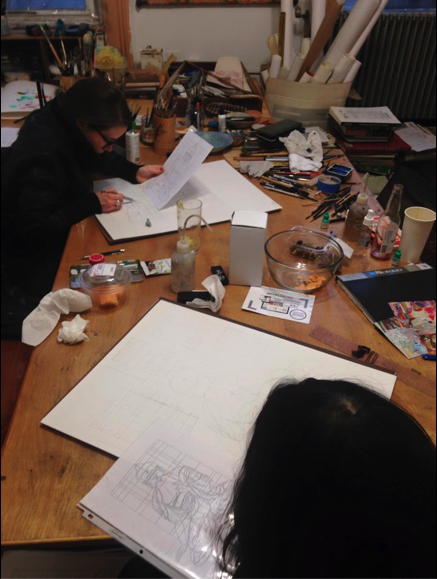 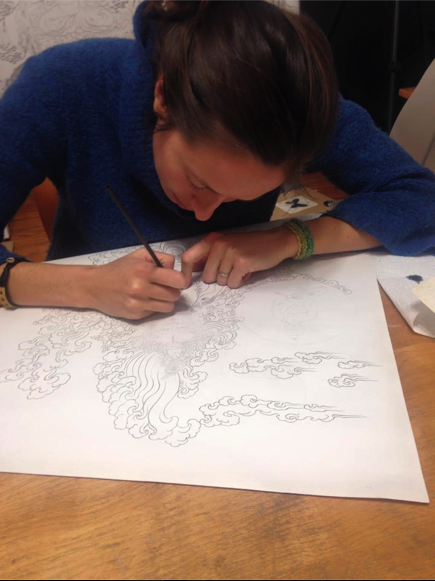 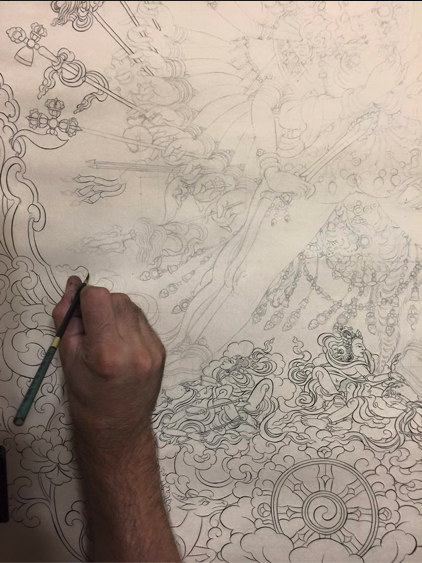 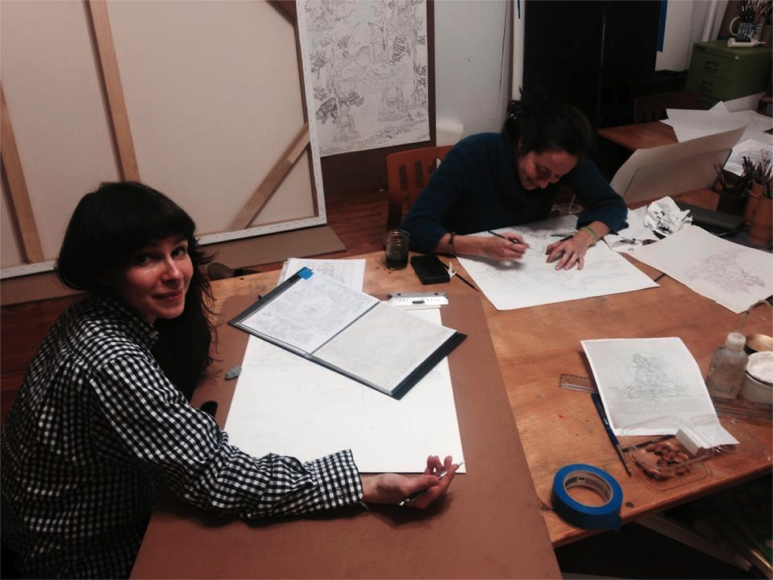 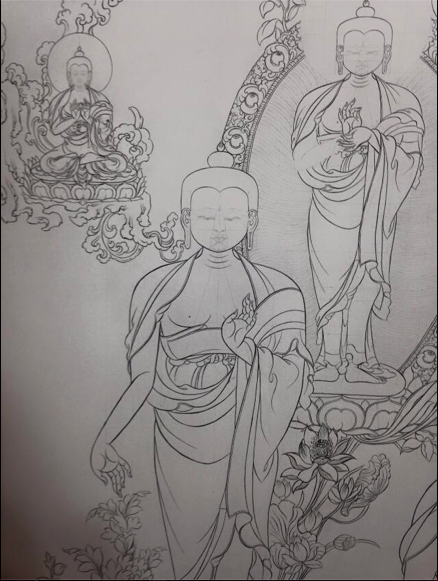 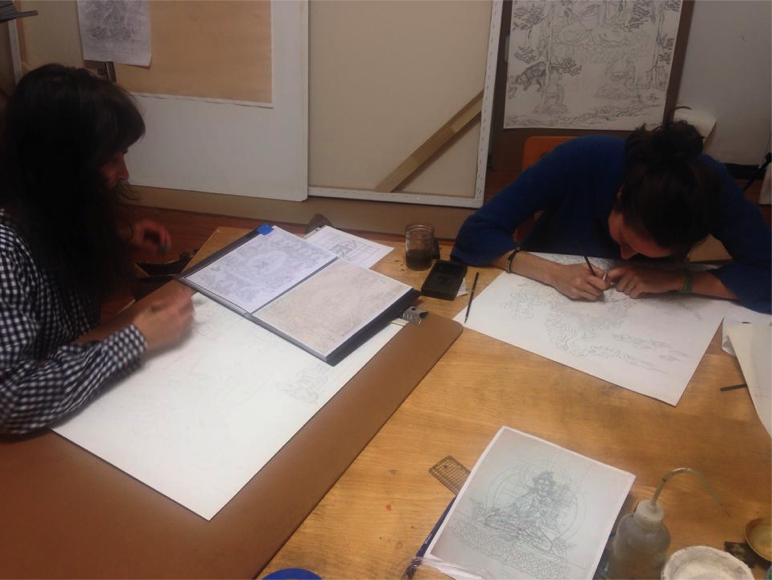 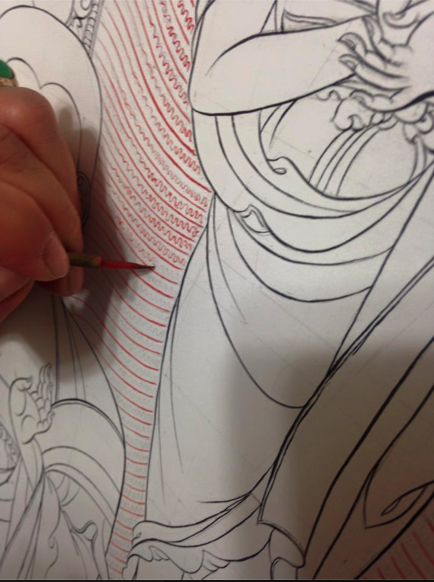 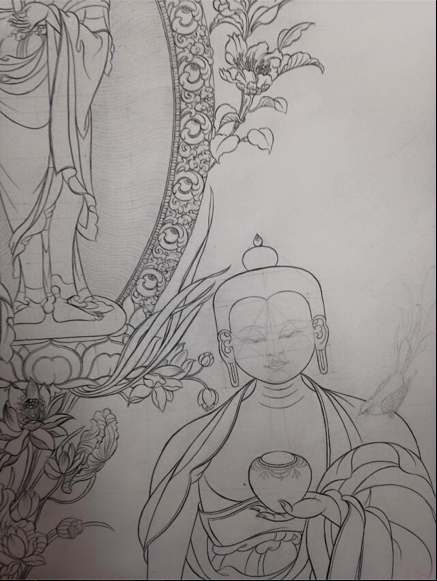 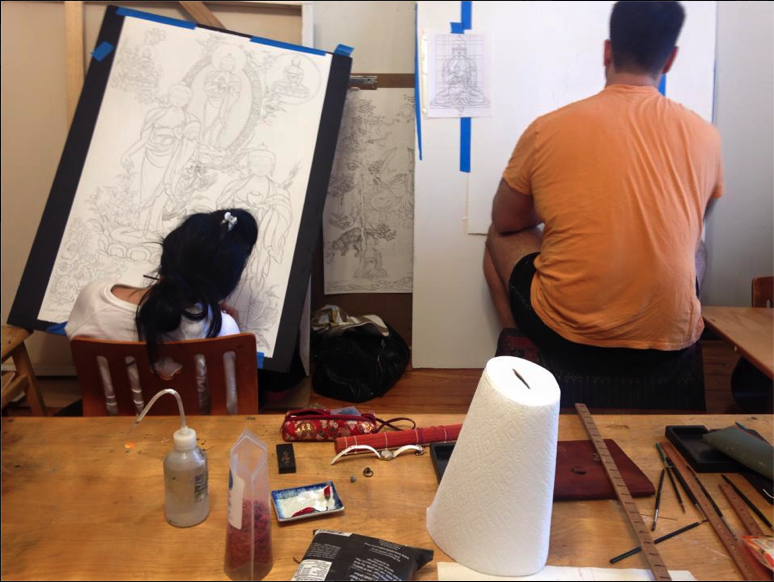 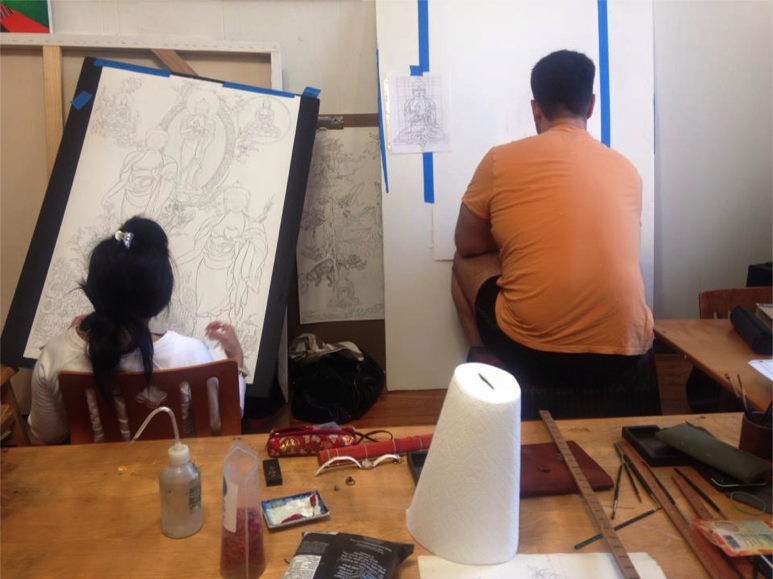 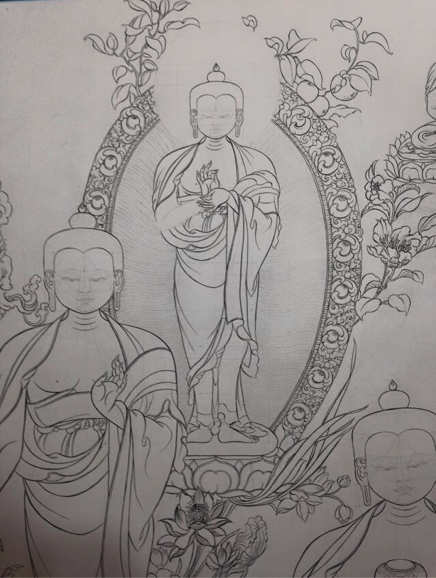 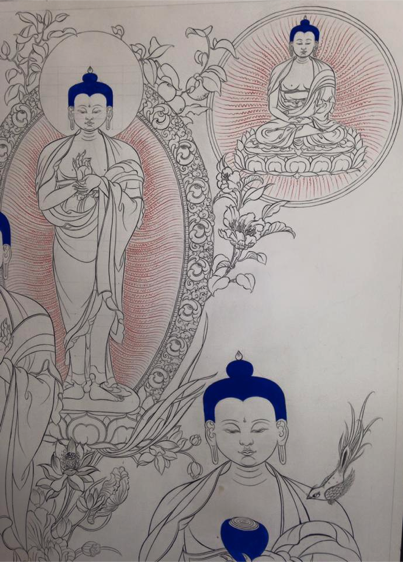 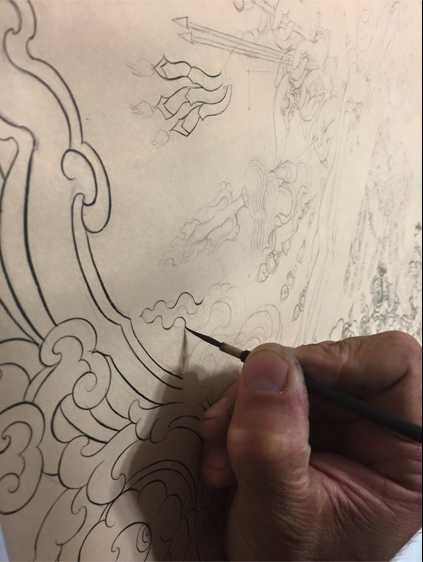 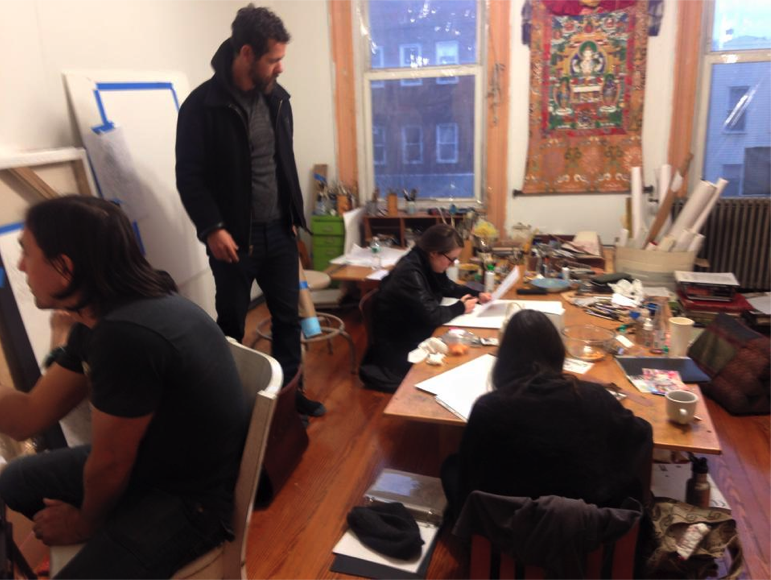 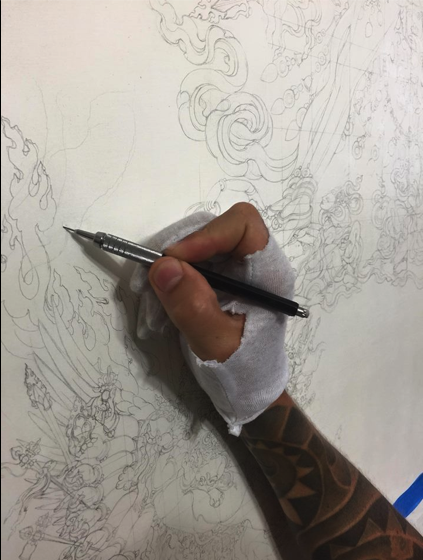 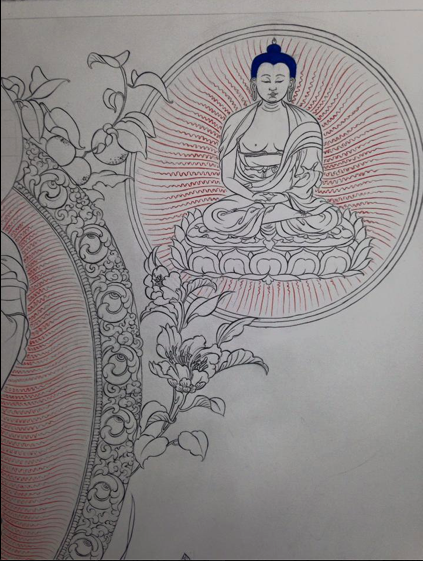 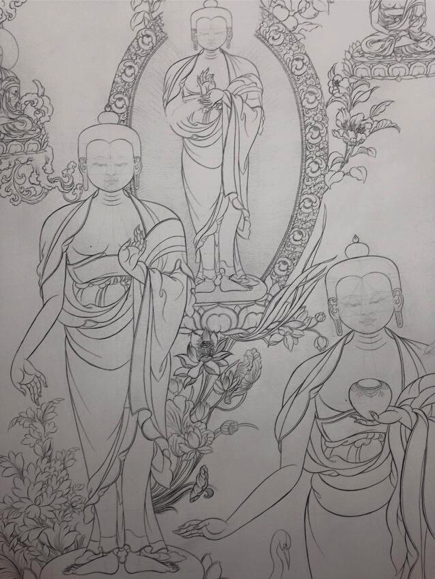 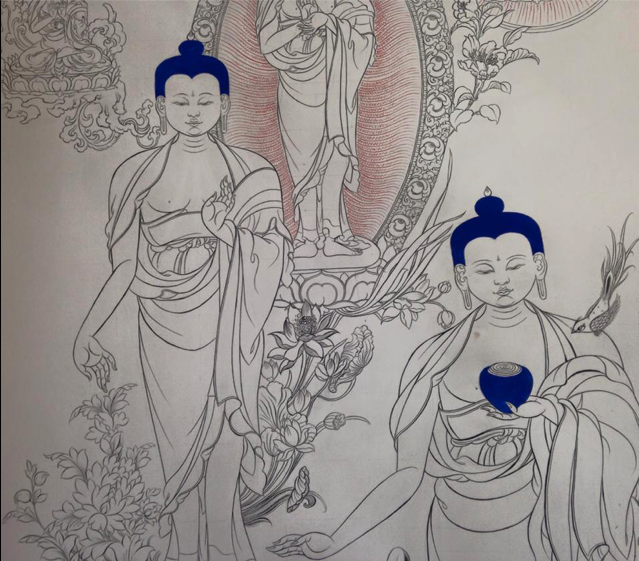 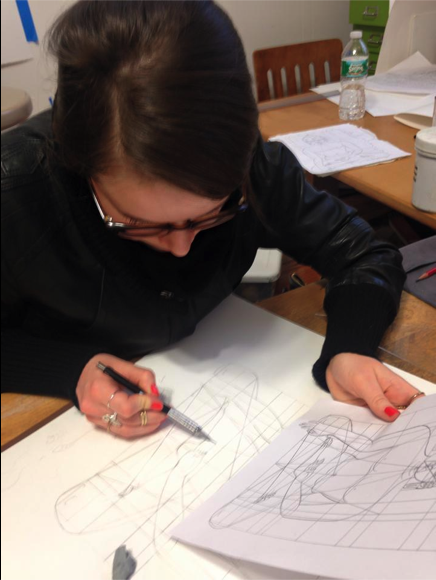 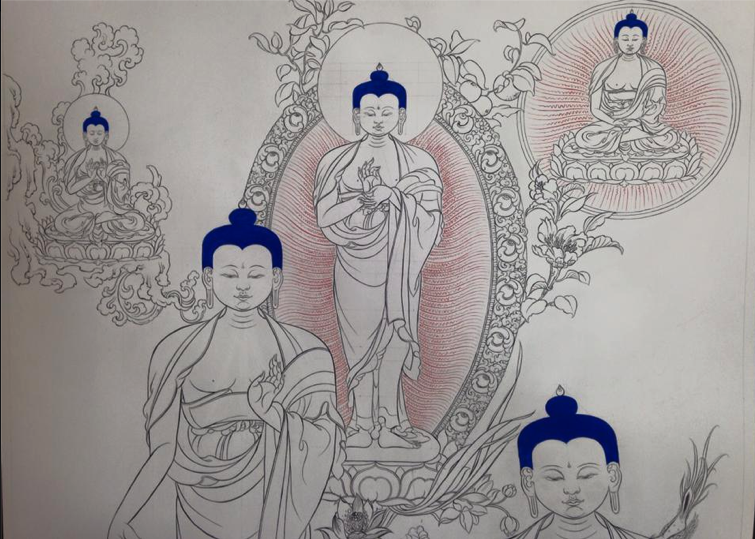 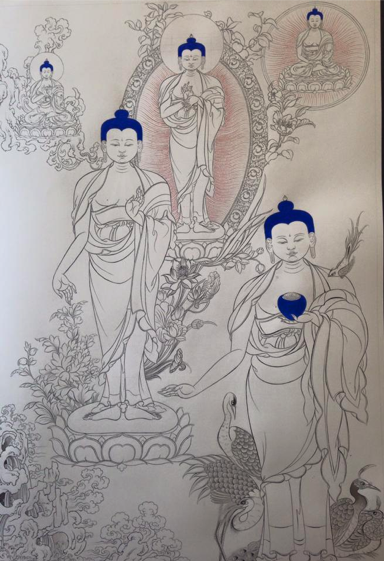 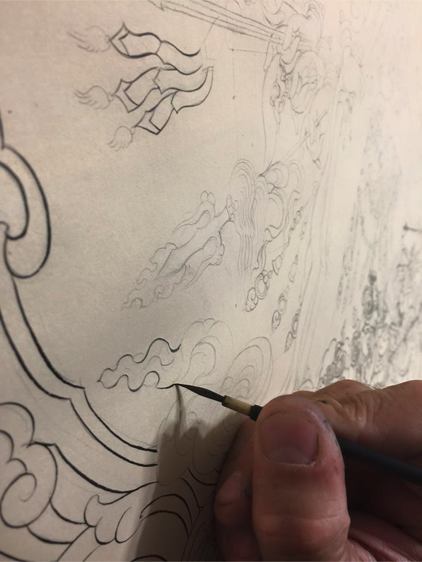 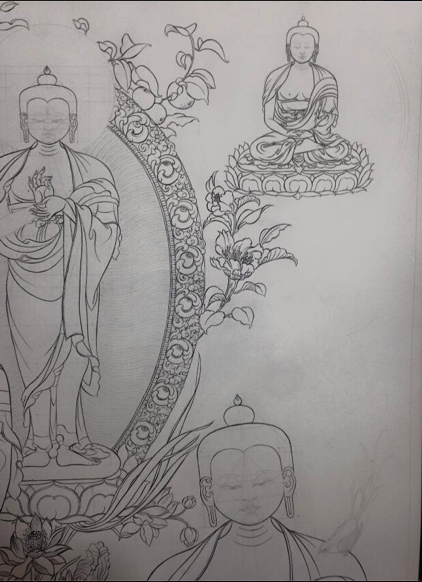 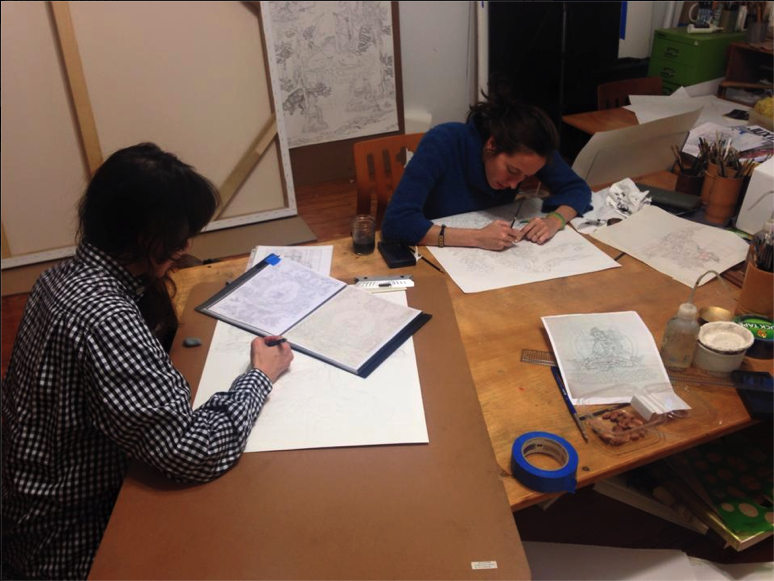 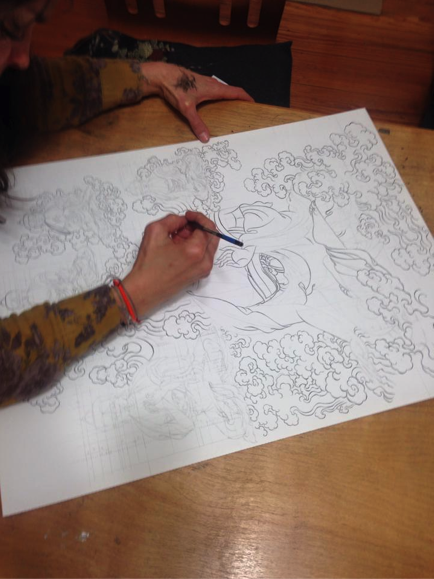 Elim has been studying with Pema Rinzin for the past 5 years at New York Tibetan Art Studio. 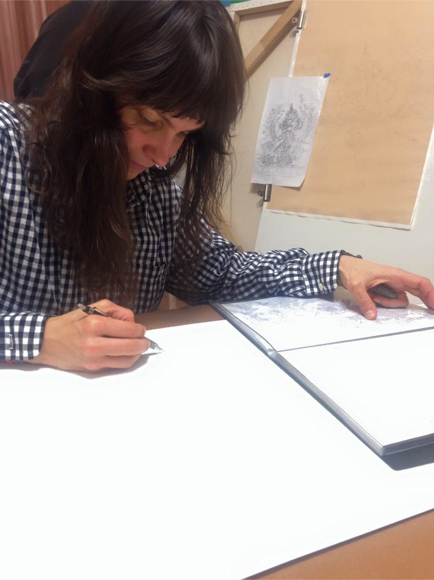 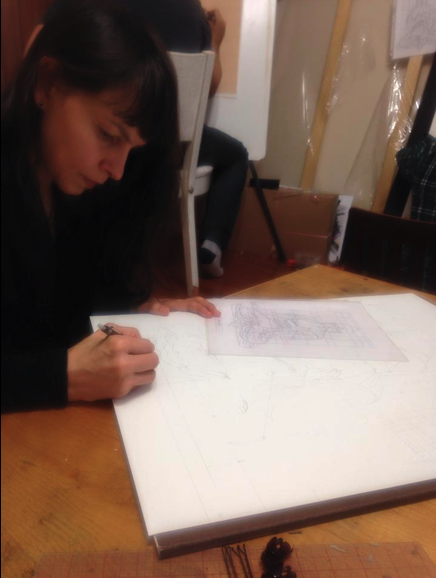 She is an art therapist and studied at Pratt Institute.